Toyota Motor Corp. said production at five European plants will be stopped for several days in late April and early May after the Japanese earthquake last month reduced parts supplies. The European factories will also run at a reduced volume during the month of May in order to manage available parts supply, the company said. The plants affected are a factory in Burnaston, England, which makes the Avensis and Auris models; Adapazari in Turkey, which makes the Verso and Auris, and Valenciennes in France, which makes the Yaris, as well as engine manufacturing factories in Jelcz-Laskowice, Poland, and Deeside, Wales. The shutdown is being planned around upcoming public holidays or school holidays to make it easier for employees to take the time off, Toyota said. The plants will be closed on April 21, 22, from April 25 to 29 and on May 2. 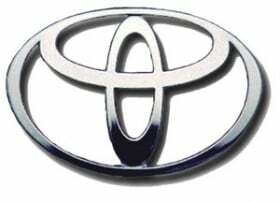 Toyota said the decision is necessary because of forecasted parts supply difficulties. "Even though most of our parts come from European suppliers, we are experiencing gaps in our supply chain due to the situation in Japan," Didier Leroy, Toyota Motor Europe CEO, said in a statement on Tuesday. "By adjusting our production in Europe, we are adapting to the current situation whilst not completely interrupting our deliveries of vehicles to our customers." Toyota said it has not made production decisions beyond May. Automakers are bracing for more supply chain disruption due to a shortage of supplies from Japan. "It's extremely likely it will get worse before it gets better," said IHS Global Insight analyst Paul Newton. "We don't really see it getting better until the middle of the year." Carmakers can look for alternative suppliers for their parts, but if re-engineering is needed to incorporate them, this will be costly and take time, Newton said. Daimler CEO Dieter Zetsche told the company's annual meeting on Wednesday that he could not rule out disruption to Daimler's supply chain. "We are working very hard to avoid this and to minimise any repercussions." Honda last week said it would halve UK production because of a shortage of some parts, may lose out to rivals as buyers flip to other brands Ford idled its plant in Genk, Belgium for five days at the beginning of April to conserve parts where the supply was threatened by the Japan disaster. PSA/Peugeot-Citroen temporarily reduced production last month at some European sites due to cuts in supplies from its key Japanese partner Hitachi. The company said production was returning to normal, but it could face further disruption in the future. Renault said it was still analysing the situation, but no plants had been closed so far.